PRICED TO SELL!!! This immaculate townhome is available in coveted Highlands at Summerlake!! Why buy new when you can get the value of UPGRADES GALORE in this Cascaval II model end unit? 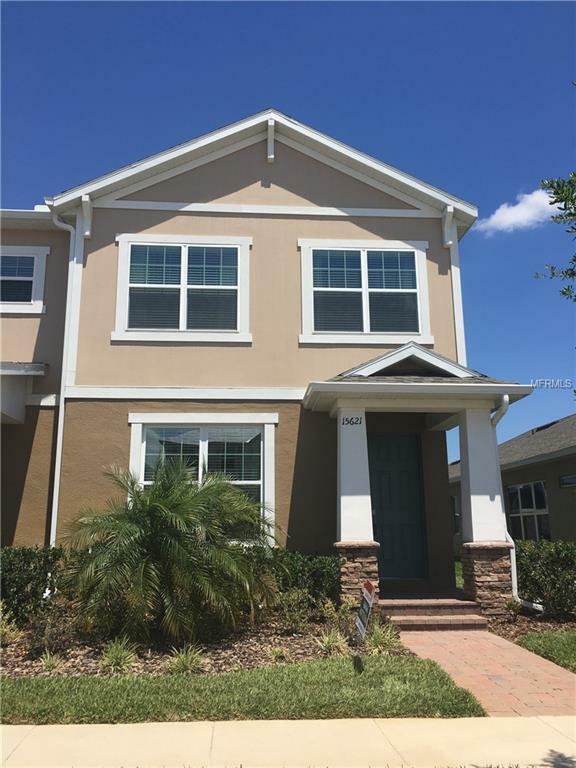 LIGHT AND BRIGHT, TURN-KEY HOME comes complete with upgraded tile and light fixtures, blinds and ceiling fans throughout, crown moulding and chair rail, custom paint, extra-height ceilings, upgraded refrigerator ... and so, so much more! Styled comfortable and welcoming, this 3BR townhouse offers a separate dining room with a gorgeous custom kitchen including granite, custom backsplash and pendant lighting! The open living area is filled with natural light and French doors lead you to the casual private patio! Upstairs boasts a spacious master suite complete with a huge walk-in closet; double sinks and walk in shower in master bath! Additional loft living space, adjacent custom built-in desk/office, and two more bedrooms complete second floor! All furniture negotiable in addition to home! Relaxing, private courtyard with covered walk to detached 2 car garage completes this beautiful home!! This fabulous home, just minutes to Disney and adjacent to Orange County National Golf course, is a definite must see and won't last long! !